Loomstate !Act Natural! Blog: Style.com Gift Guide: Loomstate Bowls! Style.com Gift Guide: Loomstate Bowls! 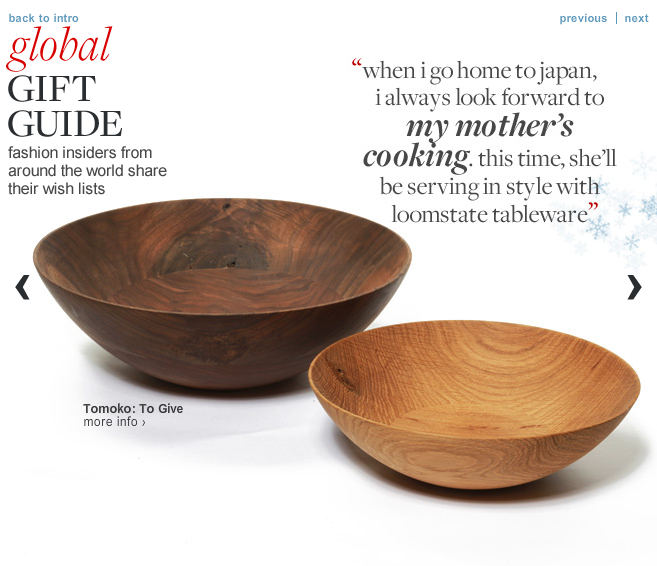 The Loomstate bowls made Women's fashion director at Barneys CO-OP Tomoko Ogura's holiday wish list!